THE eyes of the golf world turn to Augusta National this week as the season’s long-awaited and most iconic major finally gets underway. And there are several burning questions. Can Rory McIlroy finally claim the career grand slam? Will Tiger Woods win his first major since the 2008 US Open? Is it possible that Rickie Fowler will rid himself of the tag as the world’s best player never to have won a major? And can Jordan Spieth end the worst run of form of his career at the venue where he has enjoyed most of his success? There will be plenty of other storylines, of course, not least the form of Europe’s best players, who have dominated the PGA Tour in recent weeks, with victories by McIlroy, Paul Casey, Francesco Molinari and Graeme McDowell. And the likes of Tommy Fleetwood, Ian Poulter, Terrell Hatton and Eddie Pepperell will also be looking to make their mark. Unsurprisingly, McIlroy will begin as favourite after his recent victory at the Players Championship. He has been a model of consistency this year, although he will not need anybody to tell him that he threw away his quarter-final against Tiger Woods at the WGC Dell Match Play. The manner of his defeat summed up much of what has been wrong with the Northern Irishman in recent times. 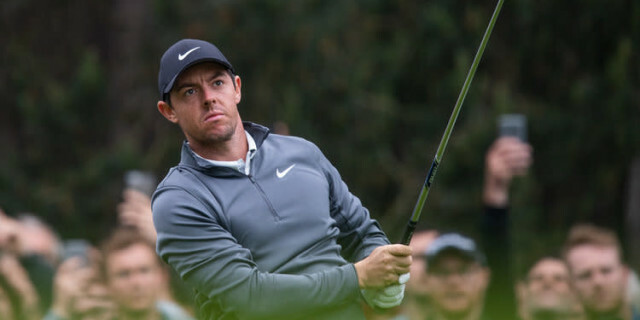 He split the fairway with a 376-yard drive at the 16th hole, while Woods bunkered his drive and was still behind McIlroy after playing his second. McIlroy had a short iron in his hand but missed the green, found a shocking lie and lost a hole he should have won. It cost him the match. 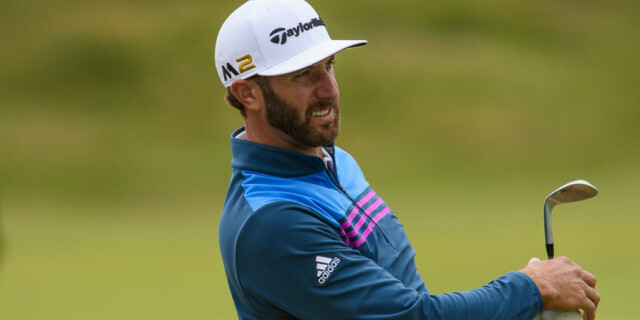 While he played superbly at Sawgrass, he should have won two or three times in 2019 but has continued his habit of throwing in one bad round at precisely the wrong time - usually on the final day. And, of course, he comes to Augusta with plenty of scar tissue, having twice thrown away golden chances of donning the Green Jacket, most recently just 12 months ago, when he struggled on the final day as Patrick Reed, Fowler and Spieth fought a three-way battle for the title. He was bitterly disappointed by his performance and it set the tone for the rest of 2018. Yes, he finished second to Molinari at The Open but he never really looked like winning. He missed the cut at the US Open and struggled badly at the US PGA Championship, both of which were won by Brooks Koepka. On top of that, McIlroy will head up Magnolia Lane with the added pressure of knowing that this remains the one major to elude him. It also now almost five years since the last of his four major victories, The PGA Championship in 2014. The longer he goes without adding to that tally, the more difficult it will become for him to do so. And then there is his putting stroke. It remains frustratingly inconsistent and if any course is going to expose a frail putting stroke it is Augusta National, where the greens will be like lightning - and that’s without taking into account all the slopes. 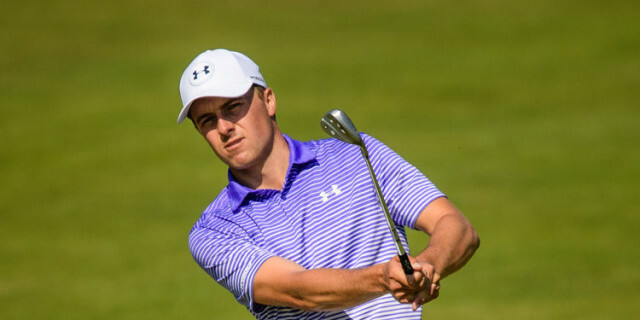 Can Spieth Rediscover Augusta Magic? Who would have believed that Spieth would find his game in such a dreadful place? He will draw plenty of consolation from the fact that he arrived at Augusta last year with his swing and putting stroke in a similar state of disrepair but then went ahead and contended. Spieth loves Augusta, in spite of what happened to him in 2016, when he took seven shots at the par-three 12th and allowed England’s Danny Willett to take the most unexpected of victories. His record at Augusta is nothing short of remarkable. He finished tied second on his debut in 2014, won in 2015, tied second in 2016, finished 11th in 2017, and third last year. Given the opportunity to play every week on this magnificent golf course, Spieth would grab it with both hands. There is something about the place that brings out the best in him. He just loves the greens and always seems to putt the lights out when he gets here. More than anybody else in the field, he will be hoping that a return to his favourite venue coincides with another return to form. He was also one of the few of the leading contenders who took part in the Valero Texas Open - a measure of how determined he is to get to Augusta with some form under his belt. Sadly, it didn’t quite work out that way. He was in contention after 36 holes but then had one of those days in the third round, requiring 42 shots to cover the front nine before steadying the ship and coming home in 31 for an extraordinary round of 73. Based on the form he has shown this year, it is simply ludicrous that Woods finds himself installed as third favourite behind McIlroy and Dustin Johnson, more of whom later. The 14-time major champion defied the odds with his incredible comeback in 2018, when he led The Open during the final round, finished second at the US PGA Championship, won the Tour Championship and secured a place in the US Ryder Cup team. It was the stuff of dreams for Woods and his fans, but the reality is that his form since that victory at East Lake has been patchy at best. He has won The Masters on four occasions, but the most recent of those victories was in 2005 and he has not won any major for 11 years. Does he still have the game to claim another? Of course he does. Will it be this week? In truth, it is unlikely. His wayward driving will not be punished as severely at Augusta as it is at US Open venues but the big difference between the current model and the man who swept all before him is on the greens. His putting stroke still looks as good as it ever did - and there was a time when you would have put your mortgage on Woods holing a 10-foot putt when he really had to - but he has developed a habit of missing short putts. It is hardly surprising. The man is now 43 years old, for goodness sake and has come through a series of horrific injuries and surgeries. He insists that his game is in shape to win major number 15, but he would say that, wouldn’t he? He is still a genuine contender and there will not be a dry eye in the house if he should win the Green Jacket for a fifth time but on this occasion you probably shouldn’t be betting your mortgage on him doing so. Fowler finished second last year and has started the season brilliantly, winning the Waste Management Phoenix Open and finishing second at the Honda Classic. His failure to have won a major is one of golf’s great mysteries because he has every shot in the book and a wonderful temperament. Crucially, he is also one of the best clutch putters in the business. Many will feel that Augusta owes Justin Rose one, but sport doesn’t work that way. He continues to play the best golf of his life and is one of the best around when it comes to strategy - and that is what you need to score well at Augusta. It is crucial to put the ball in the right places on those greens and there is nobody better at that than the Englishman. His Masters record is superb. He has twice finished second, finished in the top 20 on nine occasions and, perhaps most impressively of all, has never missed the cut in 13 appearances. His recent form has slipped but you can be absolutely certain that he will have his A-game with him this week. There will be a lot of support for Johnson. We all know about his impressive power but your correspondent is not convinced that his short game is suited to Augusta National. The Dustinator likes to attack the hole and you simply cannot get away with that on greens as fast as these. On there other hand, if he has one of “those” weeks he is capable of holing everything he looks at. It is also impossible to ignore the claims of Matt Kuchar. He missed out on the Tour Championship in 2018 but has been playing like a man possessed since the new season began. He has also found himself embroiled in controversy - he was castigated for failing to pay a local caddie the going rate when he won in Mexico and was at the centre of a row with Sergio Garcia at the WGC Match Play. But his golf has been sensational. All logic dictates that he should struggle at Augusta - he plays with a low ball flight and the greens at this course call for approaches that come in from outer space. However, you rule him out at your peril. If the American galleries were asked to pick a European winner most of them would plump for Tommy Fleetwood, whose rock-star appearance has made him a huge hit on the other side of the Atlantic. He may look like a guitarist from a heavy metal band, but Fleetwood proves that appearances really can be deceptive. The man from Southport is one of the most mild-mannered individuals currently playing top-level tournament golf, and he lives for his family. But that doesn’t mean he is not a ferocious competitor. As he proved at the Ryder Cup last year, Fleetwood thrives on pressure and loves nothing more than getting one over on American golfers. He has played a lot of very good golf in America this season but he will be the first to admit that he has fallen short of his own high expectations, developing a most unfortunate habit of throwing in one bad round at almost every tournament in which he has competed. Jon Rahm. Can he keep his temper in check?